Home Canada I call bullcrap on NDP’s “National Day of Action”. 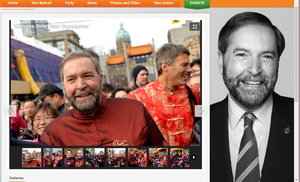 Since I’ve been talking about Obama lying over there at the BoldColors.net world of truth and goodness, I thought I’d poke around to find some of the pictures and articles about the NDP’s much ballyhooed (only by them) “National Day of Action” that they supposedly had last weekend. It’s Tuesday, so there’s lots of photos and articles by now. Surely. But I can find almost nothing, anywhere, on the interwebs. 2,172 grassroots activists in 141 communities hit the doorsteps for our first National Day of Action on Saturday. First-time volunteers got a taste of organizing on the ground and essential training ahead of next year’s election. Supporters braved the cold temperatures in Edmonton and the snow in Surrey. 141 teams across the country knocked on 112,453 doors to share the NDP’s practical plan to make life more affordable. Hundreds more shared content online to reach as many Canadians as possible. In one day alone, 28,298 new supporters joined our affordability campaign. That’s an impressive start, and a strong sign of what’s possible when we organize neighbour-to-neighbour. That’s why we’re planning four more National Days of Action in 2014. It’s days like Saturday, when thousands of New Democrats take action together, that will make all the difference in 2015. But this kind of organizing requires a steady stream of resources – for clipboards, walk-sheets, pens, leaflets, coffee, and lunch for hungry canvassers. It’s going to take all of us pitching in what we can. Thanks again for making the first National Day of Action a great success. Whether you shared content online or knocked on your neighbour’s door, you’re part of the movement that will elect the first ever NDP government. First of all, your organization’s massive marketing campaign cannot, as I said in another article, “create” “grassroots activists.” That’s an oxymoron. See this brief but supremely good article. Second, if you really had 2,172 “grassroots activists” out there all across the country on a Saturday, surely there would be more than three pictures featuring maybe six people posted on the entire world wide internets. There would be hundreds or thousands of pictures. Mostly selfies of course. But there aren’t more than about three pictures posted, per my Google search. 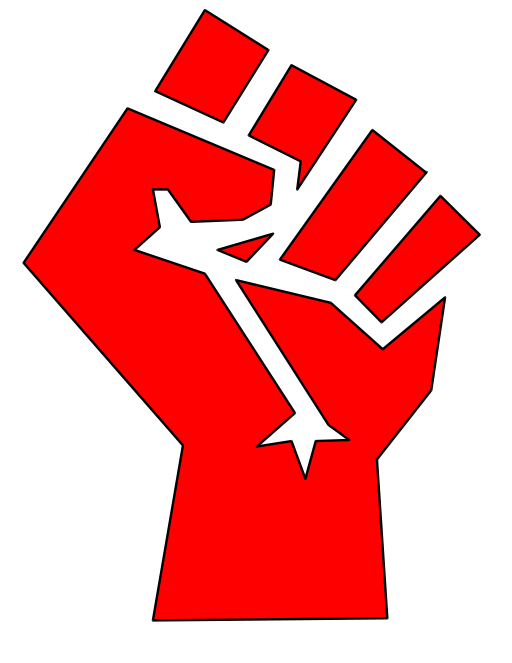 Virtually nothing, from a group of excited young “activists” who normally upload pictures of themselves all day long. Those numbers say, well, a lot. Well surely, then, at the big NDP.ca — their central left-wing activist planning politburo — there would be tons of pictures and videos, right? 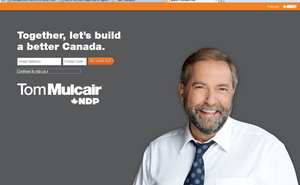 But there’s just dozens of humungous pictures of leader “Tom” Mulcair (and I do mean humungous). There’s nothing there about this “National Day of Action,” at all. No press releases, no photos on their photo (of Mulcair) page, nothing in their videos (of Mulcair) page, no nothing, anywhere. I was leery from the get-go. At their urging in an email last week, (and in search of truth and honesty) I tried to sign up (another supremely good article!) for their “National Day of Action,” but I was stymied by nothing but ongoing quests for my cash. All roads led to their donation page. “And make no mistake: disguised, as it is, as a big event which they want you to participate in, called the “National Day of Action” (what, like ‘Arab Spring?’ or more like ‘Occupy Canada?’), it’s actually a call for your cash,” I wrote. Last week I documented how I gave them my email addy as instructed but never got anything emailed to me instructing me of anything — not where to meet or at what time, nor any instructions on just how exactly I should act if I were actually a totally genuine, organic “grassroots activist” who just came out of nowhere to support the NDP, instead of an organized cabal, also known as “Astroturf activists.” Nothing. I got no marching orders! What kind of leadership is that? NDP leadership? So maybe when they claim thay had 2,172 “grassroots activists” out there, they really meant that 2,172 dopes like me (well, probably a whole lot less conservative than me) signed-up for the big activist event. That’s kind of like using “Facebook Likes” as your gauge to boast about the popularity of smoking pot. Or maybe they’re just lying.